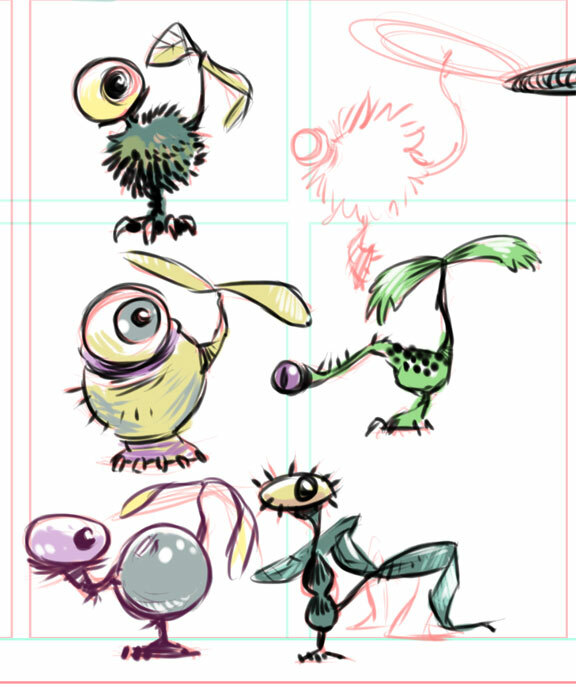 Here’s a sketch of various species of flits native to the Jungle Oasis. Flits are kind of the Planet Xian equivalent of flies, only far cuter. I’m not sure if all of these species have been identified, but the two bottom flits in the right are the Damsel Flit and the Dragon Flit. Those of you wondering where their mouths are, they eat through their feet. Mmmmm . . . 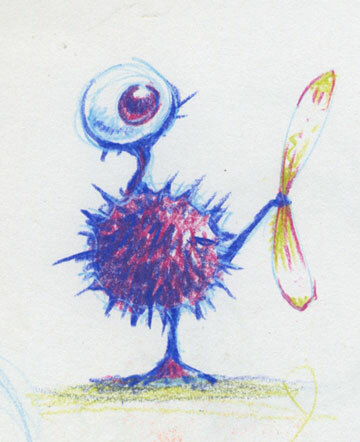 Among Planet X’s more obnoxious denizens is the Familiar Pinching Flit (seen here actual size). Sure, they might look all fuzzy and cute, but behind that big puppy-dog eye that melts your heart lies a critter so annoying, it drives both quadrapus and marf mad. This particular species of flit spends its days sucking the juicy interiors out of a variety of jelly grasses. Once it’s had its fill, it quickly grows bored. 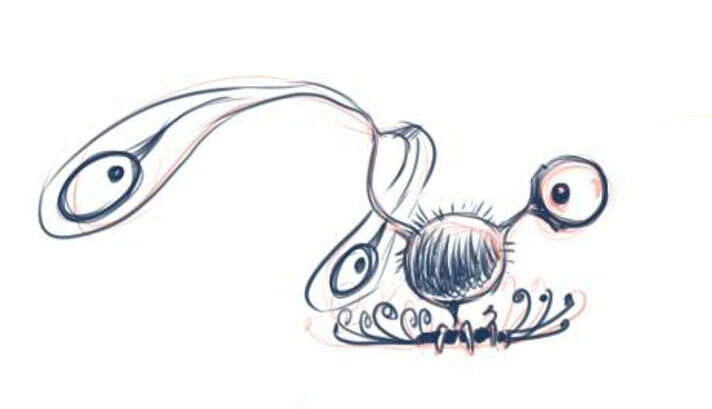 And a bored flit is a flit looking for trouble. It then meets up with other bored flits and they start buzzing around, looking for a victim. Then the pinching starts. This is where it helps to have a titanium alloy shell.